Balancing Your Bottom Line Health Coaching (BYBL) in Baltimore, Maryland, specializes in life and health coaching. As a skilled life and health coach, Stephenie presents numerous solutions to help you lead a well-balanced life. Previously working twelve hours or more hours a day, Stephenie sacrificed her health and personal life. She was divorced, childless, dealing with numerous health issues and felt as if she had no meaning in her life. In addition, she was going through intense stress, financial burdens and dealing with broken family issues. These happenings were the catalyst that led her to reevaluate her own life. They helped her to realize that there was more to life than what she was experiencing. From previously relying on at least 14 prescriptions, Stephenie is now medication free! 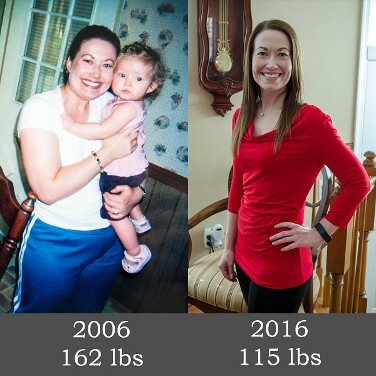 She has lost over 45 pounds, has tremendous peace of mind and now knows her life's purpose. By implementing the steps that she now uses with her clients, Stephenie turned her life around. Her experiences have empowered her to work with clients in professional business settings as well as to offer individual coaching. Through these different avenues, people learn how to become happier, and healthier version of themselves. Stephenie received her training as a Health Coach from the Institute for Integrative Nutrition's cutting-edge Health Coach Training Program. During her training, she studied over 100 dietary theories, practical lifestyle management techniques, and innovative coaching methods with some of the world’s top health and wellness experts. Her instructors included Dr. Andrew Weil, Director of the Arizona Center for Integrative Medicine; Dr. Deepak Chopra, leader in the field of mind-body medicine; Dr. David Katz, Director of Yale University’s Prevention Research Center; Dr. Walter Willett, Chair of Nutrition at Harvard University; Geneen Roth, bestselling author and expert on emotional eating; and many other leading researchers and nutrition authorities. Stephenie’s education has equipped her with extensive knowledge in holistic nutrition, health coaching, and preventive health. Drawing on these skills and her knowledge of different dietary theories, she works with clients to help them make lifestyle changes that produce real and lasting results.